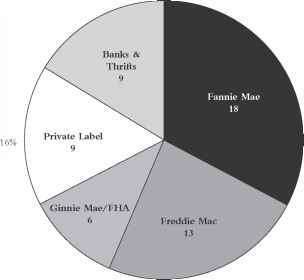 Source: Freddie Mac, Q3 2008, as reported by James B. Lockhart III, Director, Federal Housing Finance Agency, at the Association of Government Accountants 7th Annual National Leadership Conference (Washington, D.C., February 19, 2009). Source: National Delinquency Survey, Mortgage Bankers Association. mortgages defaulted and 274,000 homes received a foreclosure-related notice (default notice, auction sale notice, or bank repossession). 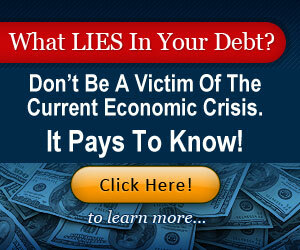 The problem mortgages are not evenly spread out, however. 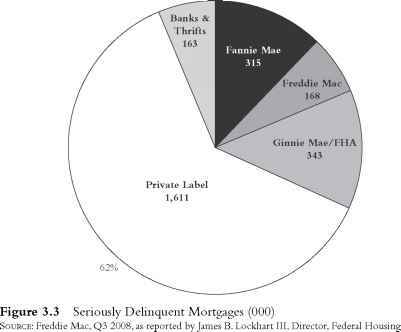 While only 16 percent of mortgages are "private label," meaning that they were sent to Wall Street and securitized, they accounted for 62 percent of seriously delinquent mortgages as of Q3 2008, as shown in Figure 3.3 . 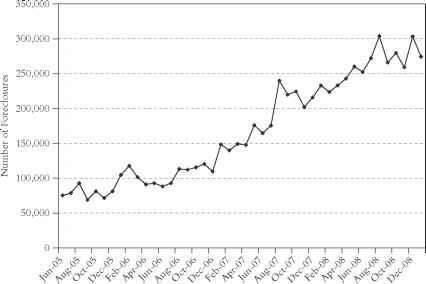 The rate of monthly foreclosures has more than tripled since the peak of the bubble, as shown in Figure 3.4 . 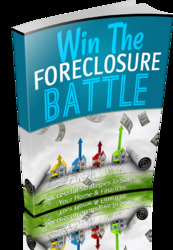 RealtyTrac.com estimates that over 1.5 million bank-owned properties are on the market, representing around one-third of all properties for sale in the United States. Finance Agency, at the Association of Government Accountants 7th Annual National Leadership Conference (Washington, D.C., February 19, 2009). 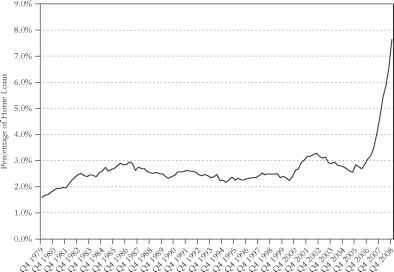 Source: RealtyTrac.com U.S. Foreclosure Market Report.